Grab some strawberries at Cooper’s Mill and create this summer treat today! 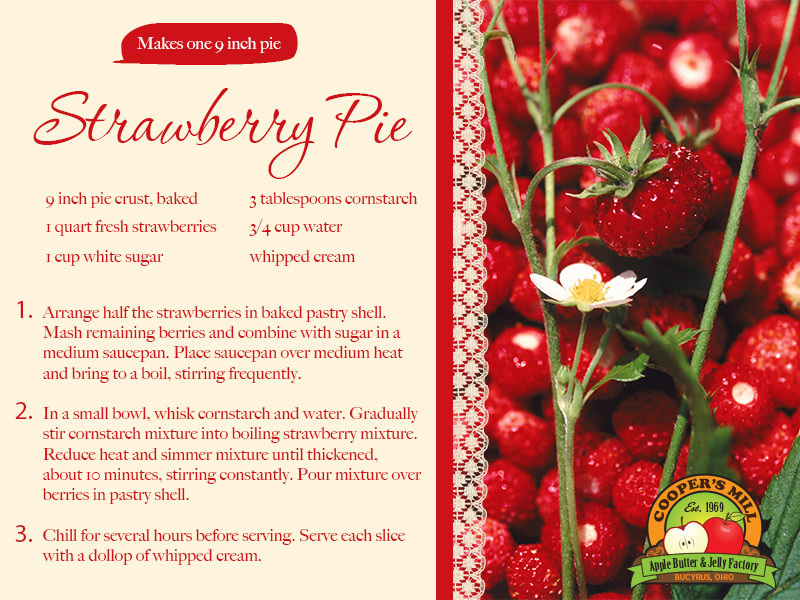 This entry was posted in Uncategorized and tagged Coopers Mill, Pie, Recipe, Strawberry, summer. Bookmark the permalink.